Despite losing nine members of that team to graduation, Yee is hopeful this year’s young group will keep that memorable moment in the back of their minds. Kyli Bonavich is the Titans’ senior leader in the post and will be one of the team’s top rebounders and scorers. In order for this squad to get back to the postseason, the players will need to continue to improve and remain consistent. Yee has five seniors, three juniors, four sophomores and two freshmen on the team, making it one of her youngest groups yet. Kyli Bonavich is a seasoned 5-9 forward who is expected to contribute under the basket, and Angelina Karapetyan is another senior who has stepped up. 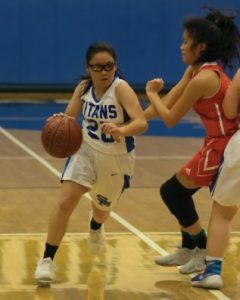 Sophomore Kinu Takasugi is aggressive on the court, especially on offense, and isn’t afraid to pull up and shoot when open. 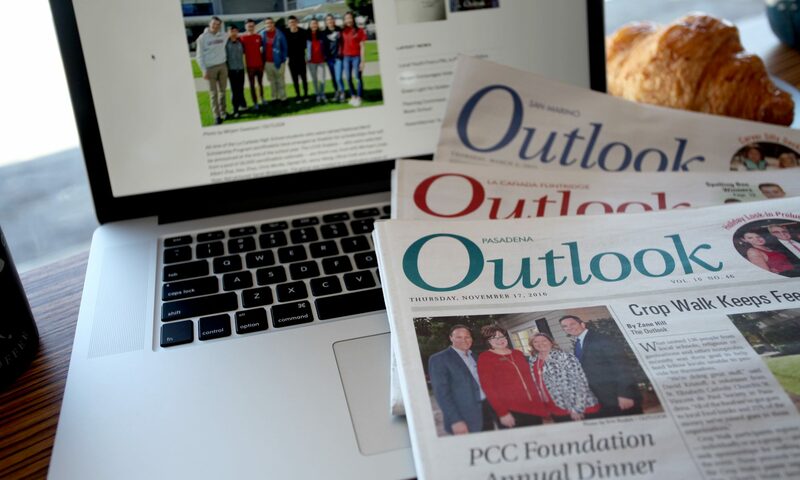 Yee hopes the leaders continue to set the tone and establish much-needed consistency. The Titans opened the season with a 48-31 loss at Westridge and later fell to Pasadena Poly, 36-33, in overtime. Despite the loss, Yee was proud of her team’s effort against the Panthers. 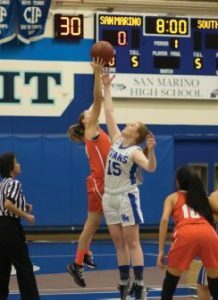 However, the team regressed in the first game of the SMHS Tournament and fell to visiting Montebello, 57-24, on Monday. 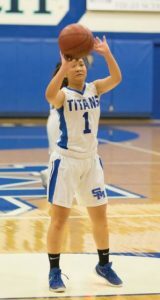 Elaina Lee is one of two freshmen on the SMHS varsity girls’ basketball roster. Head coach Annie Yee expects her to be a key player this season. Growing pains are expected with a young team, and Yee is optimistic that the group will find its identity. Sophomore Chloe Wong recorded a double-double in a nonleague game against Pasadena Poly last week. San Marino (0-3 overall record) will continue to play in its tournament this week. 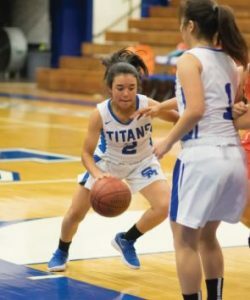 The Titans will host San Gabriel Mission on Thursday, Nov. 29, at 7:30 p.m.